Highly upgraded in gated Ivey Glenn! Completely remodeled! Soaring ceilings, Travertine floors, newer carpet, custom paint, custom light fixtures and custom plantation shutters. 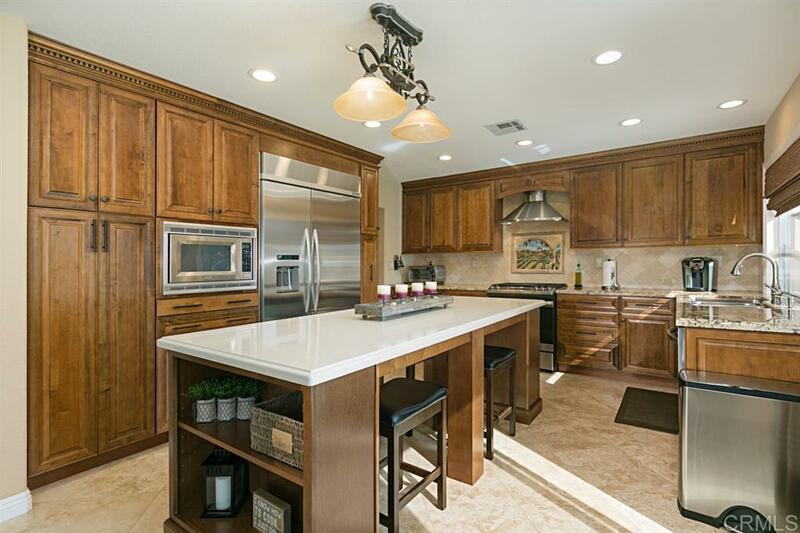 The kitchen boasts beautiful custom maple cabinets, upgraded stainless steel Kitchen-Aid appliances, convection oven, 48'' built-in refrigerator, Zephyr stainless steel hood, granite counter tops and an oversized island. Newer 40 gal water heater, A/C, 3 car garage and and roomy backyard. WALK or BIKE TO BEST SCHOOLS in Oceanside., Highly upgraded home in the sought after gated community of Ivey Glenn! Completely remodeled! Soaring ceilings, Travertine floors, newer carpet, custom paint, custom light fixtures and custom plantation shutters throughout. The kitchen is home to beautiful custom maple cabinets, upgraded stainless steel Kitchen-Aid appliances, convection oven, 48'' built-in refrigerator, Zephyr stainless steel hood, granite counter tops and an oversized island. Newer 40 gallon water heater, A/C, spacious 3 car garage and roomy backyard. WALK or BIKE TO BEST SCHOOLS in Oceanside! !